I have changed my mind over 5 years- this is a classic. The Beatles Song Of The Day is “And Your Bird Can Sing.” “And Your Bird Can Sing” is on The Beatles “Revolver” album. The song was written by John Lennon. John who could be very harsh in looking back at his and The Beatles works would call this song a ‘horror’ and a ‘throwaway.” The song was influenced by Bob Dylan’s writing. The working title of the song was “You Don’t Get Me.” The song actually wasn’t all that bad. John Lennon: vocal, rhythm guitar and handclaps/ Paul McCartney: harmony vocal, bass guitar and handclaps/ George Harrison: harmony vocal, lead guitar and handclaps/Ringo Starr: drums, tambourine and handclaps. 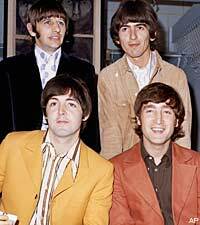 The song was recorded on April 20th and 26th,1966 at Abbey Road. Producer:George Martin. “And Your Bird Can Sing” was never released as a single. Maybe my favorite guitar riff ever. The guitar, bass, and vocals are top notch. I think Lennon would have changed his mind if he would have lived…as he was prone to do. John said a lot of things- I think had he lived he would have changed a lot of his views on The Beatles as time went on. He tended to say what he felt at any given moment. Great song! Don’t know if you have seen it but Ray Davies says The Kinks are getting back together. He said getting together for an album right now. I bet they do some touring. I would love to see them again!